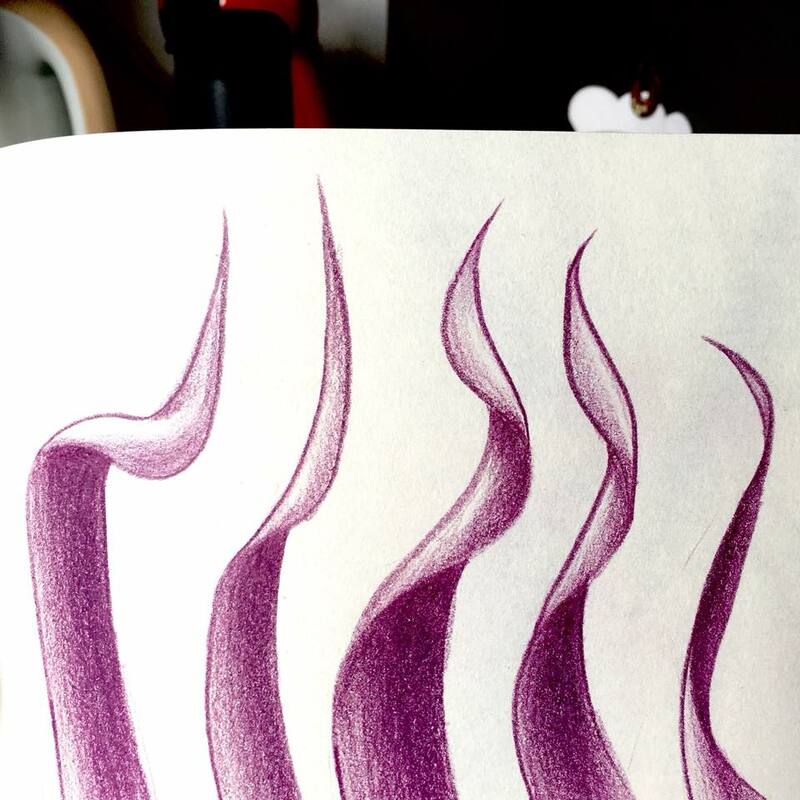 Purple pencil sketches of abstract plants and flowers. I drew the first two with my favorite Derwent pencil. And for the last one, which is more detailed, used a watercolor pencil from Staedtler, another one of my favorites. I love to create form through shading.